This is a sponsored post with Ivory. All opinions expressed are my own. Simplifying my life has become a pretty important goal of mine in the last few years. I’ve been actively weeding out distractions, so I can focus on the things that really matter to me. And the most important of those things aren’t actually ‘things’ at all. They are the people in my family. So the question for me has become – what gives me more quality time with my family? And what makes the time I spend with them even more meaningful? One answer lately, has been clearing out the clutter around us. Making our home as peaceful and serene as possible. And the hardest place to do that, has been our bathroom. Our bathroom in past years has been a bastion of mismatched bottles. 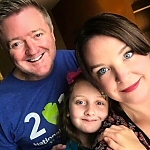 Mine, my kids, and my wife with all with our own products made “just for us” laying – just everywhere. Chaos would not have been an understatement. But we made a change that had surprising results. We found Ivory Free & Gentle Body Wash – and realized we could substitute it, for all the other soaps and body washes we had laying around. Simplify. Ivory Free & Gentle Body Wash is sensitive enough to be used by my elementary school aged daughter. 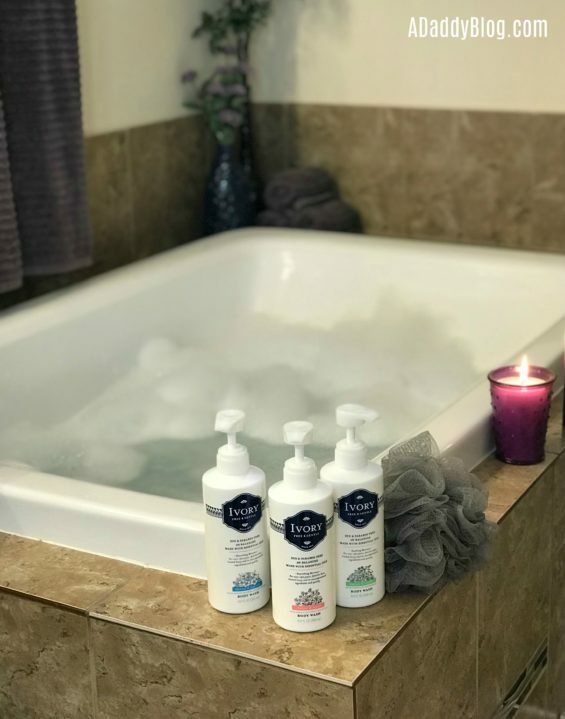 We didn’t need to buy a different specialty kids product that was Dye and Paraben Free – because Ivory Free & Gentle Body Wash provides gentle cleansing for her skin and is also – Dye & Paraben Free! It also contains the #1 Dermatologist-Recommended moisturizing ingredient. My Wife didn’t need the specialty aromatherapy potions she was buying – because Ivory Free & Gentle Body Wash comes in lovely light fragrance options that she adores. Chamomile for Soothing, Pear & Sandal Wood for Nourishment, and Sweet Pea & Lily to revive. She says it’s like a Spa Day – in our house! 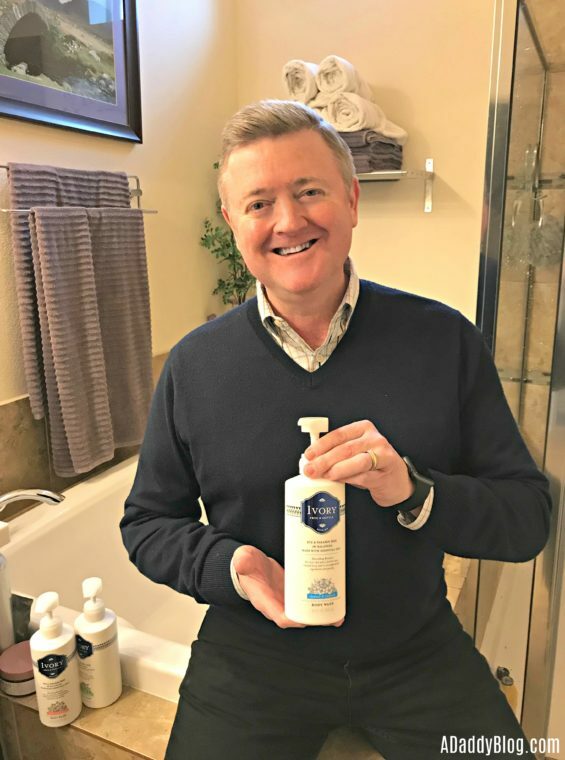 I’m happy to say I’m the one who introduced Ivory Free & Gentle Body Wash to my family – because I was already using it. I’ve been trusting Ivory my whole life. It leaves me feeling clean, without drying out my skin. And most important to me – it helps me get in and out of the shower fast. I lather up – get clean – and get on with spending time with those I love. 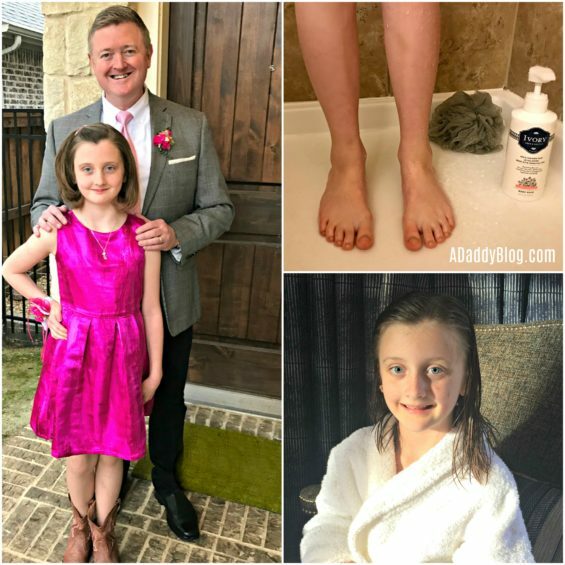 This week Ivory Free & Gentle Body Wash pampered my daughter as she got ready for one of our favorite nights of the year. The Daddy Daughter Dance. It’s the kind of special quality time I’ve been wanting to prioritize in my life. Then I took one of my famous fast showers – and used Ivory Free & Gentle Body Wash to expedite my getting ready process. Bonus, I used Pear & Sandalwood – so I smelled great for the Dance. My daughter told me so! Then, after my daughter and I were spiffed up and ready for the dance, it was my wife’s turn to simplify life a little. Bath time, with a cup of tea and a candle – her favorite way to take a breath and enjoy some me time. She deserves it, she takes really good care of our family! And Ivory Free & Gentle Body Wash can be used in the bath as well as the shower. Plus, with all that superfluous bottle cleanup we did switching to Ivory Free & Gentle Body Wash – our bathroom is even more streamlined and spa like. 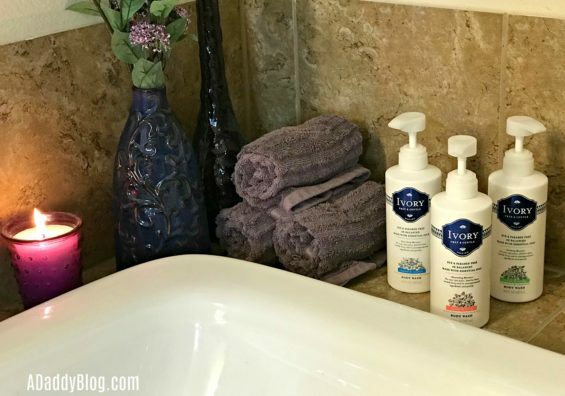 Ivory Free & Gentle Body Wash – one way I’m making my life, and our bathroom more serene. Scrub a dub dub!